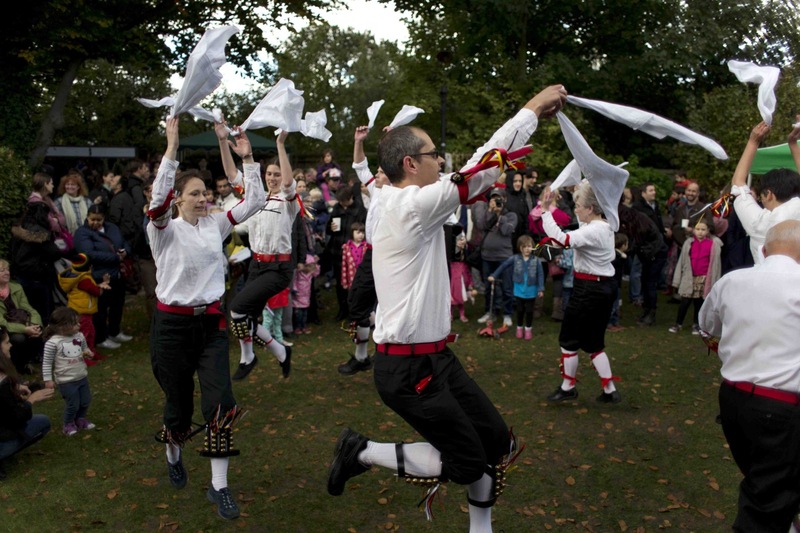 Now in its 13th year, Apple Day is at the ‘core’ of the Walthamstow Village’s celebrations, and takes place 11-4pm on Saturday 12th October 2013; as usual it will be held in the beautiful gardens of Vestry House Museum E17 9NH. This celebration of everything “appley” drew over 1,300 visitors last year, and is a buzzing, local, family-oriented event which distributes funds raised to good causes in the area. So do come and join us for some apple activities and apple-tastic refreshments. 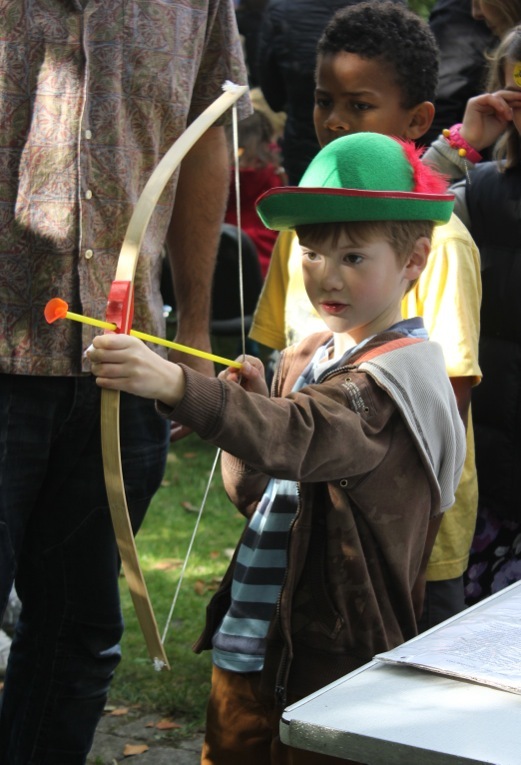 Activities this year will include traditional games such as apple bobbing, a challenge to make the longest length of apple peel, guess the weight (3 different sizes of apple), and William Tell … hit the apple using a bow and arrow. 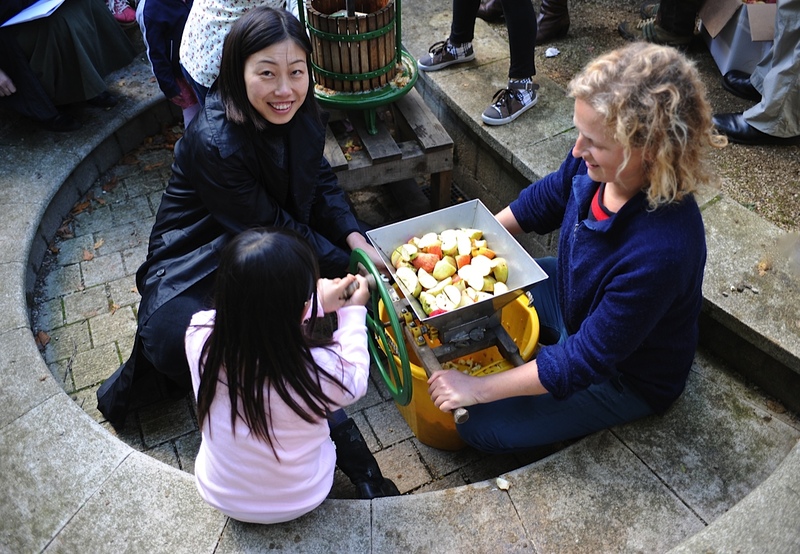 There will also be candle rolling, and the ever popular apple crushing & juicing using Organiclea’s press, as well as tattoos and face painting. 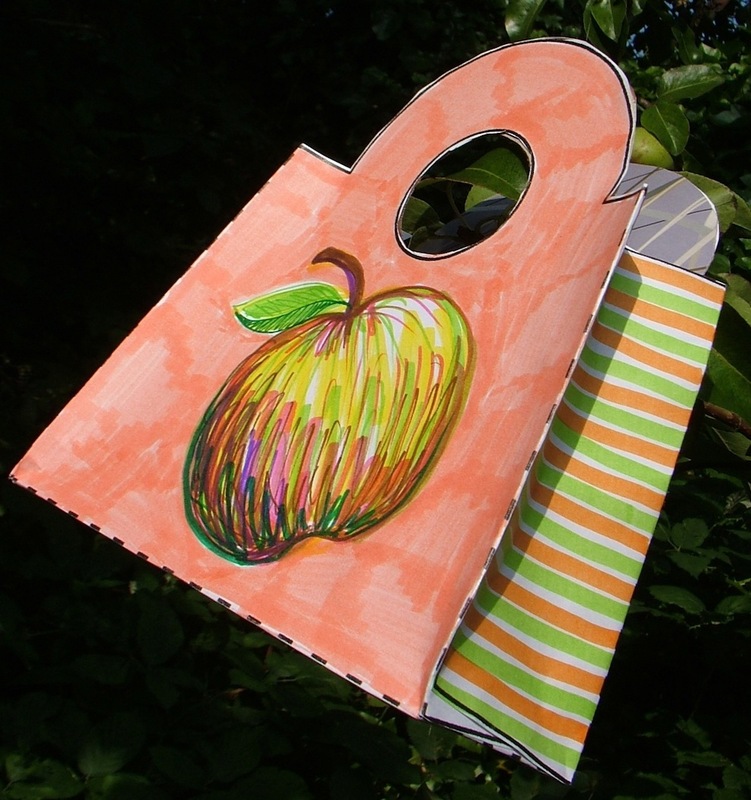 As in previous years, there will be a special craft activity tent for younger children where they can recycle card packaging & magazines to make small carrier bags and decorate them in a fun way. On sale in the refreshment hall will be many cakes & deserts baked by local people and students from Waltham Forest College, and locally produced honey, jams & chutneys. To balance the sugar intake Hornbeam Cafe will be serving healthy vegetarian savoury food & snacks, and offering the opportunity to slake your thirst at its organic cider bar. Additionally there will be organic apple tasting & sales, eco books, plant sales, apple tree sales & advice, and stalls run by Vestry House Museum Gardeners, WF LETS, Transition Walthamstow and Friends of the Earth. We will hear musical performances from Chris Hill, Tori Freestone and Jez Franks, and The Singing Room choir. Suggested donation is £1 per adult, which also includes entry into a raffle; children get in free. Loads of cakes were baked by local people, including a large car boot full provided by students from Waltham Forest College. The event is run by volunteers, with profits this year to be shared equally between 4 local good causes: Carefree Kids, The Limes, Sprout There, and Vestry House Museum Gardeners. Note: Unfortunately the Sharp side had to cancel their morris dancing display due to illness.